My name is Chris Herring and I am a Norfolk based full time professional freelance Landscape & Commercial photographer who specialises in running photography courses / workshops and photographing the wonderful and varied landscape and wildlife of the Norfolk & Suffolk Broads along with other areas of East Anglia and elsewhere in the British Isles. Along with the day to day commercial photography, I run a selection of landscape photography workshops & courses for other photographers. These include group courses and private one to one tuition on the Norfolk & Suffolk Coastlines, the Norfolk Broads, Essex & in the Peak District. Full details of these workshops & courses can be found on the workshop page of this website. New one day workshop dates have just been added for 2019. New 2019 three day Autumn digital landscape Photography Workshop dates for the Lake District & The Peak District have just been added for 2019. During 2019 I will also be offering a brand new printing and Adobe Lightroom workshop. Gift Vouchers are also available for all of my workshops. Along with running landscape photography workshops I also undertake a wide range of commissions and offers a wide range of photography services throughout Norwich / Norfolk, East Anglia & other areas of the UK from Commercial Landscape Photography to Corporate & PR Photography, for a full range of available photography services please visit the photography services page of this site. This website showcases only a small selection of my fine art Landscape, Nature and Wildlife photographs taken in different areas of East Anglia & the UK. The varied landscape of the United Kingdom is stunning and two photographs taken in the same location can look completely different depending on the light, weather conditions and the time of the year. I shoot mostly around sunrise and sunset to capture the warm colours and the wonderful shadows that low light can produce. I have a passion for the great outdoors and natural light, It is this passion which I try to capture in my images. My style of landscape photography is to shoot bright vibrant pictures that inspire. This reputation has lead to regularly having my work published in local and national magazines, in calendars and taking on commissions for both local companies and large global brands. Over the years I have been fortunate to regularly write for some of the country’s leading photography magazines and to date have had four books published exclusively with my images inside. 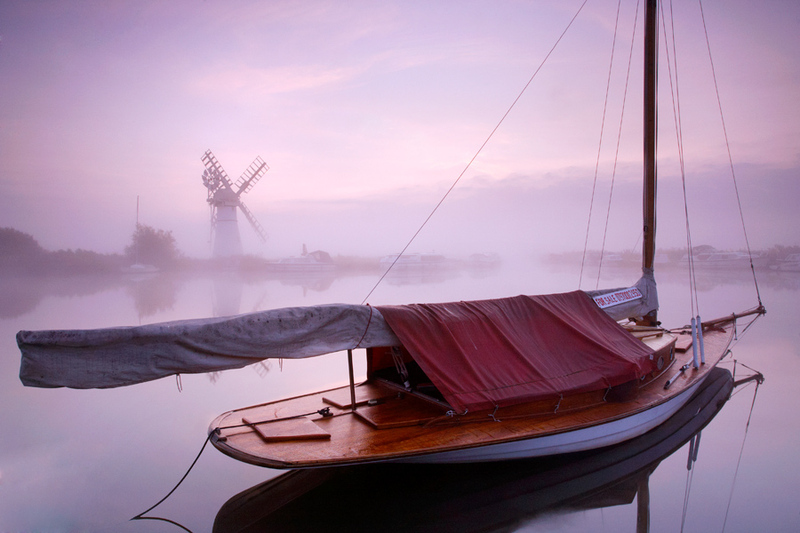 These include Norfolk Windmills, Norfolk In Winter, The Peak District and Spirit Of Suffolk Windmills. I hope to begin work on a fifth book in 2019. For further details on available Landscape Photography Workshops in Norfolk, Suffolk, Essex, The Peak District and the Lake District please visit the workshop page. Forthcoming photography shoots planed for late for early 2019 involve new images from the Norfolk & Suffolk Coast along with the fresh images from the Norfolk Broads and the landscape of the Peak District & winter images of the Lake District National Park. The selection of images displayed on this site represent only a small collection of available images in my ever-growing Photographic library of available images for commercial reproduction. This collection currently includes in excess of 80 thousand images. Should you wish to use any image on this website, have an image in mind or wish to discuss a project please do not hesitate to contact me using the details shown on the contact page.